Every year on Valentines Day, people express their affection in a variety of ways, usually exchanging gifts, flowers, or chocolates. As all pet owners know, animals show love effortlessly in a non-commercial, unconditional way. Our relationship with our pet can be a refuge from a bad day when the world has been less-than-warm to us. Occasionally, this less-than-warm feeling can come from our social media experiences. Often, a scrolling session through grim news stories and silly selfies can be completely transformed from heart breaking to heart warming when your feed lands on a magical story of inter-species friendship. 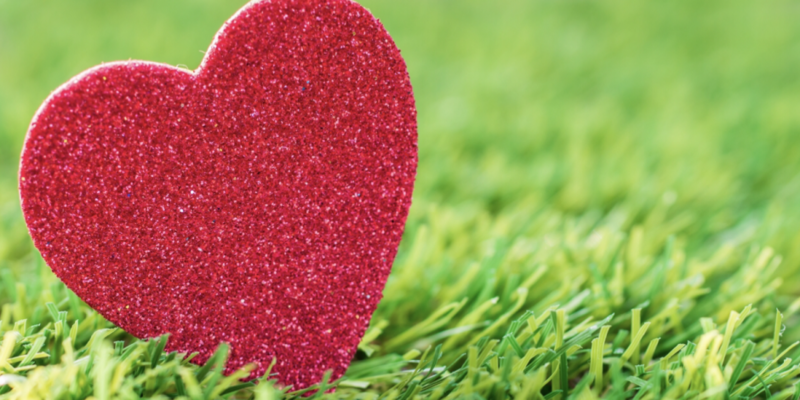 If you have been living off the grid in a tiny house, you may have missed the following story, but it is worth revisiting for Valentines Day. As a baby, Suyria arrived at the Institute of Greater Endangered and Rare Species in Myrtle Beach dangerously depressed after losing her parents to poachers. She would not eat and had nearly lost the will to live. 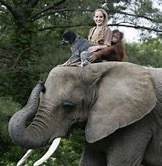 To raise her spirits, the founders of the Myrtle Beach Sanctuary took her on rides through the woods on the resident elephant to swim and play in the River. On one of these expeditions, a malnourished Blue Tick hound emerged from the woods and followed the group back through the gates of the sanctuary. According to Suyria’s caretakers, the connection between Suyria and the dog was immediate. Although Suyria did not have a particular affinity for dogs and most dogs are very afraid of elephants and orangutans, Suyria greeted the hound as a long lost friend and family member and began to feed the hungry dog some of her biscuits. Suyria’s caretakers were amazed at the instant friendship. They did try to find Roscoe’s owners, but no one in the area claimed him. After meeting Roscoe, Suyria gradually began eating again and regained the will to live. The sanctuary owners began to care for Roscoe and gave the hound a forever home. Since that day, Suyria and Roscoe spend almost all their time together swimming, playing and sharing meals. 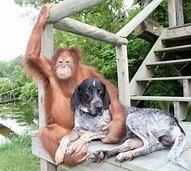 This story has it all — a grief-stricken orangutan without a family, a starving homeless hound, and the wonderful, warm human beings that created a sanctuary where all could come together for wholeness, healing, and a happy ending. Do you have a story about an instant connection to an animal that has been transformative in your life? We would love you to share!